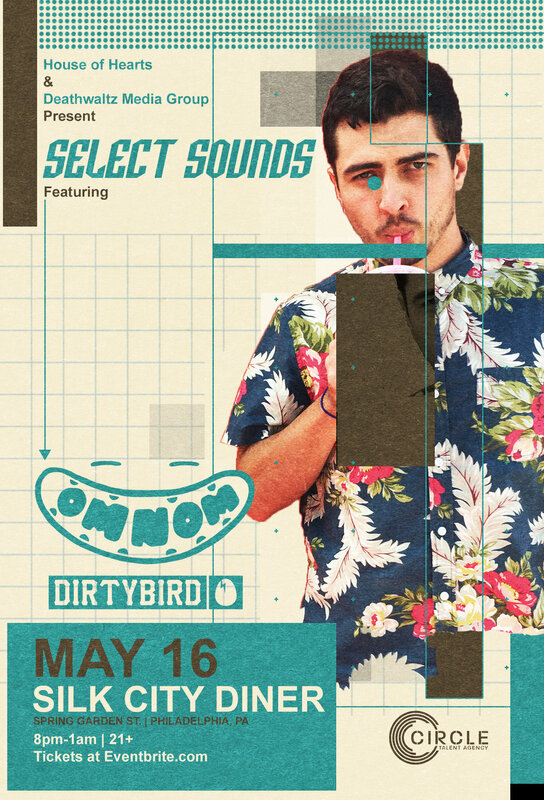 One of Dirtybird's hottest up and comers will be taking the stage at Philly's famous Silk City on May 16th. OMNOM's rise to fame has only just begun, make sure to catch him in an extremely intimate setting while you still have the chance! If you don't know OMNOM yet, get on the train. With releases on Dirtybird, Box of Cats, House of Hustle, and OKNF, OMNOM is rising to his place in the leaders of the tech house scene due to his incredibly original sound and intense production talent. His recent single "Fo Free" has been supported by tech house phenoms such as Walker & Royce, Claude Vonstroke, and many more! This will be the first time OMNOM is playing outside of his home state of California, and Select Sounds is bringing you the exclusive chance to catch him on the East Coast before ANY other cities. Let's get groovy people! Brian and Kyle were raised in and by the City of Buffalo, a place known as much for humble and honest work as it is for raucous parties. Rooted in everything from crust punk to trance, they aim to approach dance music with an attitude free from pretentious discord, and love a dj booth at ground level with an intimate crowd as much as a full production festival stage setup. We're pleased to announce that due to exciting demand our show with Josh Butler has been moved to Coda Philly!